I recently went to the Great Smoky Mountains and one of the things I loved about it was the layers of mountains you could see as you looked out over the distance. 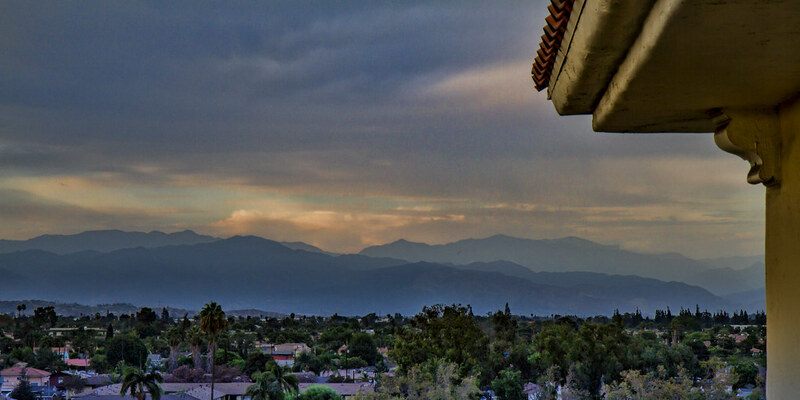 Last week when I was taking some overview pictures from the Embassy Suites in Downey, I noticed these beautiful layers of foothills off in the distance. It made me think just a little bit about the Smoky Mountains. "Those who contemplate the beauty of the earth find reserves of strength that will endure as long as life lasts. ... There is something infinitely healing in the repeated refrains of nature — the assurance that dawn comes after night, and spring after winter." Wonderful play of light! I, too, aooreciate the layered look of distant mountains.